Tony Sagami writes: I got my first taste of inflation in 1973, shortly after I got my driver's license. Gasoline was 25 cents a gallon when I first started driving, and I was busy enjoying the freedom and independence that an automobile gives a teenage boy. But that freedom didn't last very long. The Arab oil embargo and 1973 energy crisis made gasoline very hard to get. 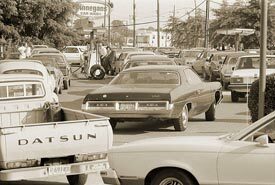 Do you remember the inconvenience of long lines that stretched so far that gas stations often ran out of gas before you finally made it to the pump? How about even/odd days? And while waiting in line was very inconvenient, what really killed my joy riding was the stratospheric increase in gas prices from 25 cents to $1-plus a gallon! That was more than this son of a poor dirt farmer could afford. Remember the days of long lines for gas and soaring prices? I was too young to be in the market for a home, but plenty of other Americans found themselves priced out of the game. Reason: The Federal Reserve Bank, under Paul Volker, raised interest rates to almost 20% by the end of the decade to combat inflation. Finally, inflation got so bad that President Nixon froze wages and prices ... initially for 90 days ... and eventually for almost 1,000 days. Even my father, who rarely complained about anything, bitterly talked about how the price controls were vaporizing his already-meager vegetable profits. I was just a kid, but old enough to know that inflation was NOT a good thing. Hyperinflation Is Back, and It Could Be Worse this Time Around! The U.S. Consumer Price Index (CPI) jumped 0.4% in January for a 12-month overall inflation rate of 4.4%, up from the already-too-hot 4.1% inflation reported in December. What's more, this is the third month in a row that the annual inflation rate has been above 4%. Energy prices increased 19.6% over the last 12 months. And over the last three months, they soared a whopping 43.6%! It would be a huge mistake to blame all that inflationary pressure on energy, though. After all, it represents just 10% of the CPI. Prices for the other 90% must be on fire, too! And as Federal Reserve Bank of St. Louis President William Poole warned, further interest rate cuts may accelerate inflation to an even more unacceptable level. "Taking out insurance against certain risks is not free. At any given time, policy makers could pursue a powerfully expansionary policy to all but eliminate the possibility of a significant recession in the year ahead, but doing so would come at the cost and even likelihood of an unacceptable increase in the rate of inflation." China's January producer price index jumped 6.1% to its highest level in three years. The leap was mainly due to rising oil prices, which jumped 29%, and raw material prices, which rose 8.9% percent last month from a year earlier. According to the Chinese National Bureau of Statistics, consumer prices rose 7.1% in China last month, the single largest increase in more than a decade! But here's the important part about inflation in China: Chinese exporters are passing on their rising costs to overseas customers! Just look: The price of Chinese goods leaving factories rose by an eye-popping 6.1% in January, the highest rate in three years! Note that this does NOT include January's inflationary data, which is certain to be even worse because the most severe snowstorm in more than 50 years caused prices to skyrocket. Once those numbers are factored in, I wouldn't be surprised to see the Chinese inflation rate top double-digits. 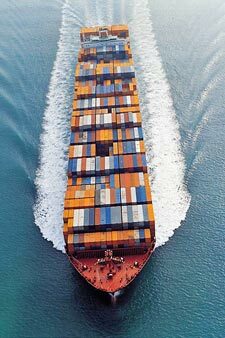 According to a Global Sources survey, a Hong Kong trading company, 80% of the 709 Chinese exporters surveyed said they expected to increase prices in the next six months. Is it a coincidence that gold has jumped more than 30% over the last 12 months to a 28-year high of $950? Or that the price for a barrel of oil closed over $100 last week for the first time ever? Since 2001, the price of iron ore, the main raw material used to make steel, has risen by an astonishing 500%! That stunning increase will translate into dramatically HIGHER costs of producing steel. We're already seeing this trend play out in the global marketplace. Japanese and South Korean steel mills just agreed to a 65% increase in iron ore prices from Brazil. Step #1: Make sure your portfolio includes a heavy dose of hard asset and natural resource companies. Sean and Larry have given you plenty of great ideas in recent issues of Money & Markets . And two weeks ago I told you about Companhia Vale do Rio Doce (NYSE: RIO), which has jumped by more than 10% since then. Get 'long' whatever the Chinese are buying! Nothing captures that strategy better than the hard assets and natural resources that the Chinese so desperately need to fuel their growth. Step #2: If you're a fixed-income investor, I suggest dumping your long-dated bonds right away because inflation is going to clobber bond investors. Keep your bond maturities shorter than five years and hold a bundle of cash. Step #3: The U.S. dollar is doomed to keep falling as long as Gentle Ben Bernanke and his Fed buddies keep cutting interest rates. It might sound simplistic, but don't invest in dollars when the dollar is falling. In my book, the best way to diversify a portfolio is with foreign stocks, especially Asian shares. As I just told you, despite rising inflation, many of these firms are doing a great job of passing on higher costs to their customers. So not only will your portfolio have the potential to appreciate from currency gains, but it will also be hitched to what I consider the fastest growing and most profitable part of the world. Whatever you do, DON'T make the mistake of doing nothing! Inflation is a very real threat, and the time to act is now.